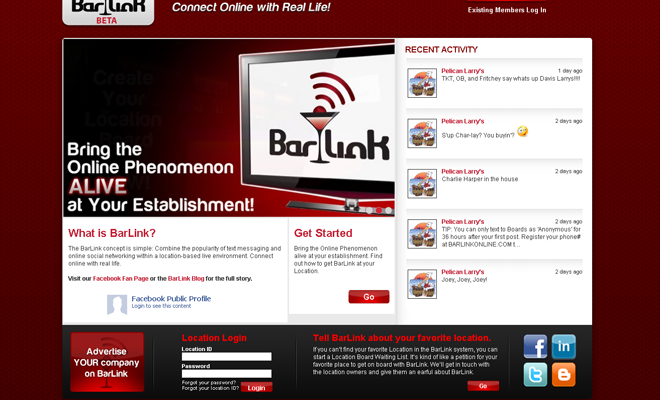 The BarLink concept is simple: Combine the popularity of text messaging and online social networking within a location-based live environment. 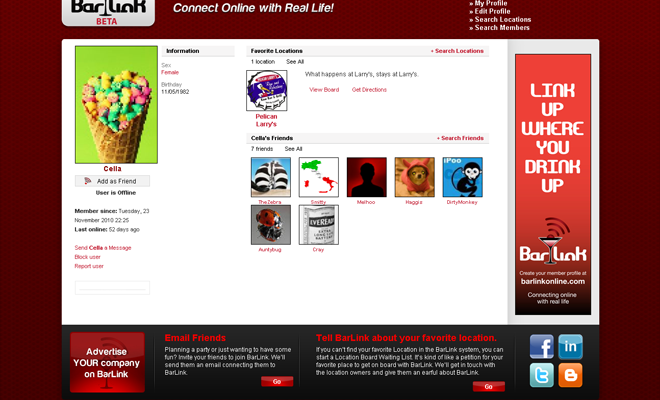 Connect online with real life. 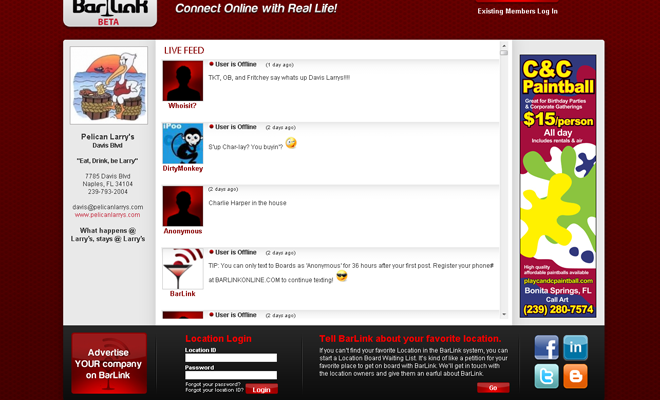 RT Design Group was hired to develop a social community that enables users inside establishments to SMS a live board which would show in real-time online and inside the bar. We used the Twilio API for the sms functionality and PHP and MySQL for the core technologies.